Click below to learn a little more about the concept of PLAYDATE! 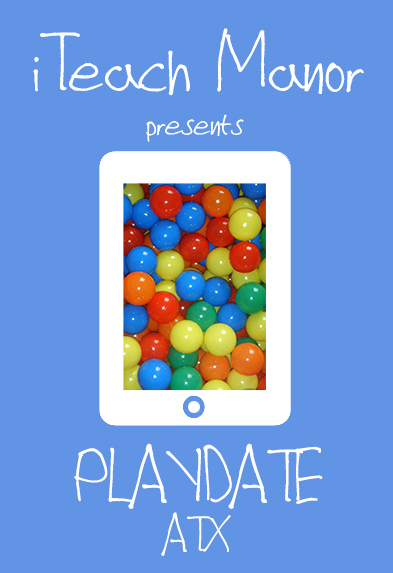 Playdate is patterned after PLAYDATE now happening across the US! Playdates are a new kind of professional development. This event is for educators who just want to explore - or play with - apps, websites, programs or tools that they've always wanted to dig into more deeply, but never had the time or support to do so...with a spin. PLAYDATE AUSTIN will be student-led! “Tech Crews” of students from the Austin area and beyond will be leading teachers through tech exploration and we want to share with the greater central Texas area everything they are doing in innovative schools. There will be no keynotes, no lectures, just hands on exposure to tech tools and strategizing with students and Central Texas teachers about how to increase tech integration in their pedagogy. Manor ISD Teachers, get PD credit for PLAYDATE! Register on Eduphoria. Click on the Eventbrite link to Register for FREE.